The month of November not only is a time to gather with family and friends, but it is also a time of the year to reflect and be thankful. Here are 5 reasons why being thankful is good for you. 1) You will have a healthier heart. According to a study of 186 men and women with heart damage. The study rated the people’s levels of gratitude and spiritual well-being. The men and women were asked to write down things they were grateful for over an eight week period. Higher gratitude scores were linked to better sleep, better moods and less inflammation around the heart. 4) It Helps you make new friends. Having gratitude is a great way to build new relationships. People are more drawn to an individual that is grateful rather than one complaining all the time. This is not only good for building friendships and maintaining them but helpful if in the future you move or change careers and are looking to meet new people. 5) It improves physical health. In a study of 1,000 Swiss adults published in the journal Personality and Individual Differences found that higher levels of dispositional gratitude were correlated with better physical health. It certainly seems to make sense. 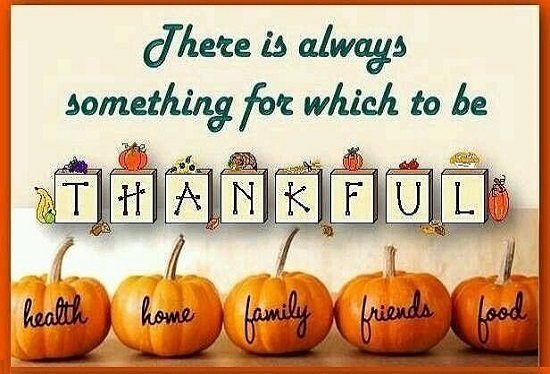 Being thankful is putting positive energy into the world, which in turn is a reflection of you. We at iGo Realty are extremely thankful to be able to sell homes to our customers and also being a part of a wonderful community. No matter how you spend your holidays, we wish you Peace, Joy and Love!